Grand Theft Auto V puts you behind the wheel of whatever vehicle you choose to drive, the options aren't endless but they certainly feel that way. 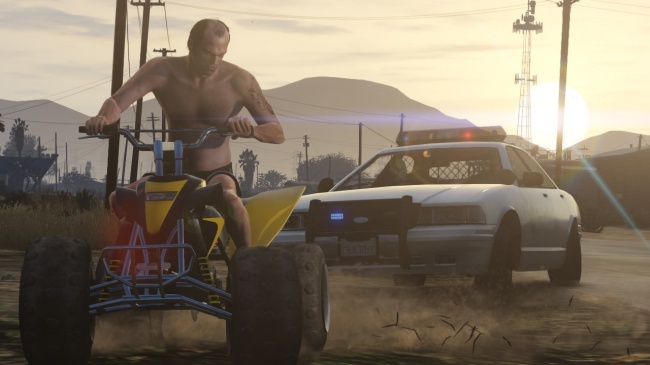 The vehicles that they offer will keep you busy driving around Los Santos, while missions will have to wait on just driving around. It can get to the point where you really won't want to leave the relative safety of your vehicle, it helps that you can take to the skies if you feel the need.